Dr. Oz is at it again, spreading careless advice about sleep. And this time somebody besides me is complaining. Last week, Frank Dietl, 76, filed suit against Dr. Oz for a sleep tip that left him with third-degree burns on his feet and several weeks’ confinement in bed. Oz gave his tip in a show last April, telling viewers that they could sleep better by heating their feet with a “heated rice footsie.” He said to fill the toes of a pair of socks with uncooked rice, heat the socks in a microwave and then wear them about 20 minutes while lying in bed. Dietl, who is diabetic and suffers numbness in his feet, followed Oz’s instructions. But then, instead of removing the footsies after 20 minutes, he fell asleep wearing them. He woke up in the middle of the night to discover burns on his feet that left him barely able to walk. I am truly sorry for Mr. Dietl, but I’m happy to see tele-evangelist health gurus like Dr. Oz get challenged on some of the half-baked advice they toss our way. This time, Dr. Oz’s facts weren’t inaccurate. His explanation for why heating the feet might help with sleep—“When your feet get hot . . . your body gets cold. Your body will automatically adjust its core temperature and, as it gets cooler, you’re going to be able to sleep better”—is basically true as far as it goes. Yet as usual, Dr. Oz was short on details. And in this case, the details just might have saved poor Frank Dietl’s feet. It’s easier to sleep when your core body temperature is falling, and people who have problems falling or staying asleep may be saddled with bodies that have trouble cooling down. Sleep experts say that insomnia is sometimes characterized by a failure to down-regulate core body temperature at night. So how can you cool yourself down? Lots of heat loss occurs through the hands and feet. So one way to promote heat loss—and this may sound paradoxical—is to heat your extremities before going to bed (as you might with a foot bath). Heating the extremities dilates the blood vessels, in turn allowing for maximum release of body heat and a lowering of core body temperature. In some experiments (but not all), this heating of extremities has helped subjects fall asleep sooner and stay asleep. Hence, Dr. Oz’s brilliant idea for the heated rice footsies. But here’s the catch. In the case of older people with insomnia, this doesn’t work. Heating the extremities has not helped elderly poor sleepers fall asleep sooner or sleep better, according to research (see below). If Dr. Oz had bothered to qualify his advice, Frank Dietl, 76, might have passed on the idea of the footsies and avoided the disabling burns. But Dr. Oz and his ilk are not big on nuance. Which is why I don’t trust them, particularly on matters relating to sleep. 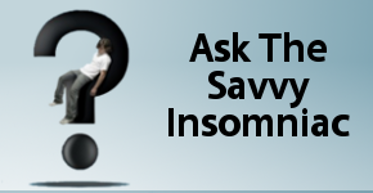 People with insomnia differ one from another. The last thing we need is advice from doctors that treat us all alike. What do you think about Dr. Oz? Speaking in sound bites is the norm on TV these days. Am I expecting too much? I totally agree! Not to mention it is irresponsible to suggest applying heat without qualifying it first; NOT for diabetics, people with neuropathies, etc. He needs a better research crew. He is an expert on cardiothoracic surgery… not everything as he frequently implies. Frustrating. Don’t get me started on comments he has made about vaccinations! 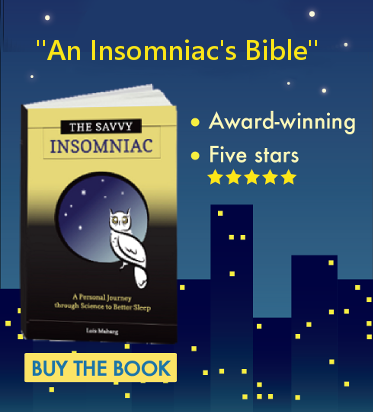 Savvy Insomniac, your brand (truly researched!) of advice is the kind we need. People like Dr. Oz are just a fancy face with lots of make-up, not much of anything real. I always appreciate your careful suggestions and not-one-size-fits-all ideas. Lois, I completely agree that TV evangelists, whether medical or religious, oversimplify and often show more self-interest than nuanced (your word, and a very good word it is)concern for viewers. I trust your common sense, your motives for writing, and your knowledge of the field. Plus I like your writing style! Dr. Oz’ and others’ headline grabbing scares responsible docs and patients into underprescribing and reluctance to use needed medications. While it’s quite clear we live in a culture of greatly over-praised and under researched drugs, we still face serious difficulties for many people with post-op and chronic pain and other disorders. It seems it’s feast or famine.